This is a new sight in Whittier. 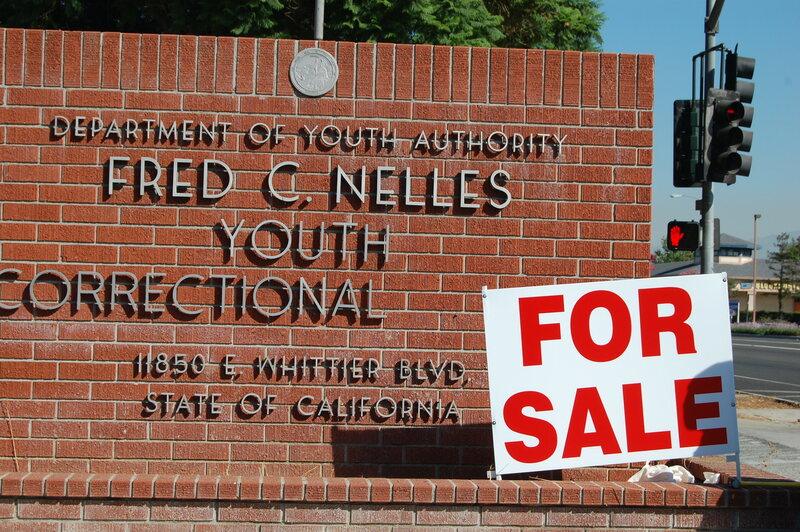 The old juvenile detention facility,located at Philadelphia Street and Whittier Boulevard, has finally been listed as state surplus property. The people of Whittier and the San Gabriel Valley ain’t NIMBYs. They’ve had to put up with the Fred C. Nelles Youth Correctional Facility for 113 years. Now it is surplus property. How much will the state get for it? It won’t be the $107 million it sold for in 2005, when at one minute to midnight, the state negated the sale and said it wanted to keep the old place for a possible future jail. Later, under pressure from the courts, the state and city were being arm-twisted into making it into a prison hospital. Then a “re-entry” prison facility. All options are off the table now. The state has listed it for sale. The 73 acre-parcel is the biggest contiguous urban parcel in Los Angeles County, says Whittier Councilman Owen Newcomer. The city will appraise it and help the state find a buyer, said state Sen. Ron Calderon, R-Montebello, who put up the sign Wednesday. Future uses include: shopping mall, possibly a Costco, homes and maybe office use. City officials said it will be five years before anything is built. Until then, residents can sleep a little sounder knowing it won’t be a prison again or a hospital for prisoners. 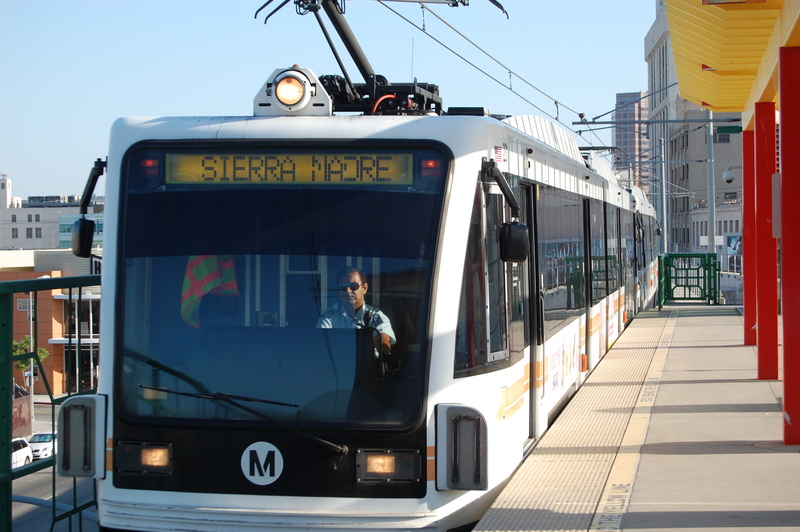 On my way to downtown Sunday, I rode the Metro Gold Line from Pasadena’s Sierra Madre Villa station to Union Station. Along the way, something happened that I’ve never experienced in my years of riding the light-rail line. Four sheriff’s deputies boarded the train at Del Mar Station and spoke to everyone one board. “We need to see your tickets, please,” said the deputy closest to me. He stooped over and squinted at the my one-way ticket which I purchased at the busy East Pasadena station. The ticket checking is going on more frequently, I’ve been told. It is related to the fact that Metro (MTA) is installing turnstiles at every station on every line. They were ready to go on the Red Line, at least in the First Avenue (Civic Center) station. 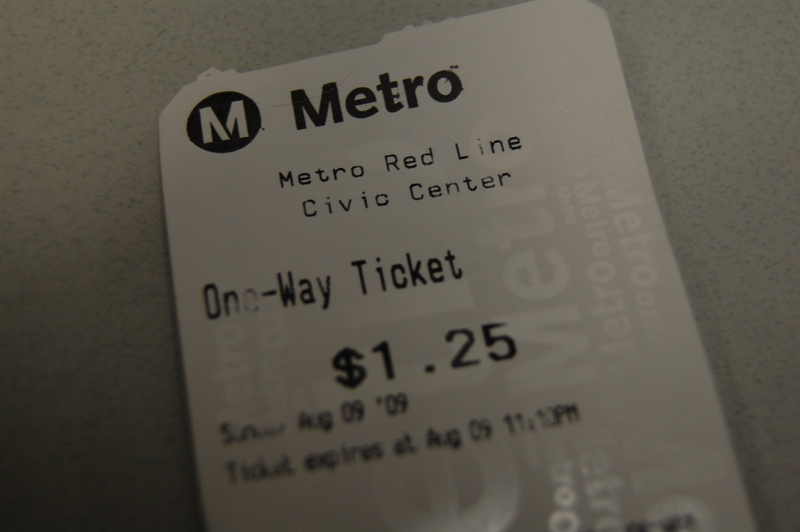 Soon, all light rail will be like the subways of NYC or Washington D.C., that is, you’ll need to insert your ticket to open the turnstile, or you can tap a loaded cash card that the Metro is selling (this is a lot like the BART in Northern California). The old way was simply to buy the tickets, period. They used the honor system (and the threat of a cop who would write you a ticket) to get you to pay a fare. I also noticed while on the Union Station/Gold Line platform something else that is coming: the Eastside Gold Line line. This will run easterly from Union Station to Little Tokyo through East Los Angeles to the edge of Monterey Park. That line is expected to open later this month. But you better have a ticket to ride.